To develop and validate the Chinese version of the Joint Protection Self-Efficacy Scale (CJP-SES) in patients with rheumatoid arthritis (RA) in China. (1) Translation of the original German/English version JP-SES and cultural adaptation into the Chinese language; (2)Validation of the CJP-SES with the Chinese versions of the Arthritis Self-Efficacy Scale-8 (ASES-8), the Laffrey Health Conception Scale (LHCS), 10-item Perceived Efficacy in Patient-Physician Interactions Scale (PEPPI-10), Disease Activity Score-28 (DAS-28) and Health Assessment Questionnaire (HAQ). Instrument measurement included reliability testing, item generation, construct validity, test–retest reliability, and correlation with other measurements. Confirmatory factor analysis was applied to determine construct validity and internal consistency. One hundred fifteen patients with RA were investigated. Finally, 105 RA patients were included in the analysis. Confirmatory factor analysis demonstrated fit for a unidimensional model of the JP-SES. Additionally, the scale showed internal consistency (Cronbach’s α coefficient 0.922), kappa coefficient (0.653), and test–retest reliability (ICC = 0.94). Weak correlations with other scores for the other instruments, such as the Chinese version of ASES-8 (0.263) and PEPPI-10 (0.326). Correlation with duration (0.274), moderate correlation with BMI (− 0.438) and DAS-28 (− 0.493), and strong correlation with HAQ (− 0.644) were found in this research. 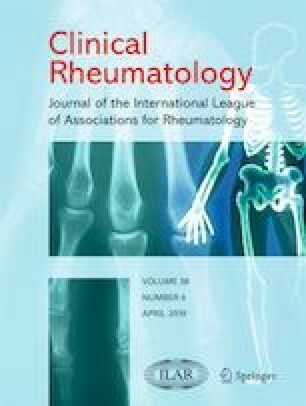 This is the first study to adapt and validate the JP-SES into Chinese for use in patients with RA. Our research showing that the CJP-SES has a good construct validity, internal consistency, and test–retest reliability. This scale can help doctors and nurses to assess the self-efficacy of patients with RA. Li X Zhang is the co-first author in the article. The online version of this article ( https://doi.org/10.1007/s10067-019-04510-8) contains supplementary material, which is available to authorized users. I would like to express my gratitude to all those who helped me during the writing of this thesis. I gratefully acknowledge the help of nursing professor in Tianjin University of Traditional Chinese Medicine, Ms. Xie Fei, who has offered valuable suggestions in the academic studies. I also owe a special debt of gratitude to all the doctors and nurses in Joint Surgery Department, from whose devoted teaching and enlightening lectures I have benefited a lot and academically prepared for the thesis. Huiwen Zhao has received research approval from Tianjin Hospital. Wen Luo has received the authorization of using the JP-SES in Chinese/China from Karin Niedermann. Wen Luo, Xiuli Zhang and Xiuli Liu translated the JP-SES into Chinese; Wen Luo and Karin Niedermann and revised the back-translated scale. Xiuli Zhang, Xiuchan Liu and Zihan Yang performed data collection from participants and data analysis. Wen H Zhao1 and Li X Zhang wrote the manuscript under the supervision of Wen Luo and advised by Karin Niedermann.